Making your TCF Bank credit card payment or need to login to view your statement or manage your account online? This guide will familiarize you with the available payment options, rates, perks and more. To make a payment online or manage your account, follow the link provided below on this page to the TCF Bank credit card login. You will also find useful “pay my bill” information such as the credit card customer service number, payment mailing address, and billing phone number below. The TCF Bank credit cards are issued by Elan Financial Services. Cardholders can manage details of their accounts using the online payment service provided by TCF Bank. For any assistance with online access you can contact customer services at 800-558-3424. Pay Online: The online payment service enables cardholders to make payments fast and securely without any issues. Users can check their account details, update personal information, view e-statements and more. Users also have 24/7 access to their account. To make your TCF Bank credit card payment online click the “Pay Online” button below to login, register, view your statement or manage your account online. Pay by Phone: The TCF Bank credit card payment phone number is 800-558-3424. Pay by Mail: The TCF Bank credit card payment mailing address is: Cardmember Service, P.O. Box 790408, St. Louis, MO 63179-0408. Please include your TCF Bank account number on your check. Your account number is located on your statement. To ensure your TCF Bank payment is received on time it is recommended that you mail your payment at least 5 business days prior to the due date shown on your monthly billing statement. Pay in Store: Yes. You can pay your TCF Bank credit card in a local branch. TCF Bank Credit Card Customer Service: The TCF Bank credit card customer service number is 800-558-3424. 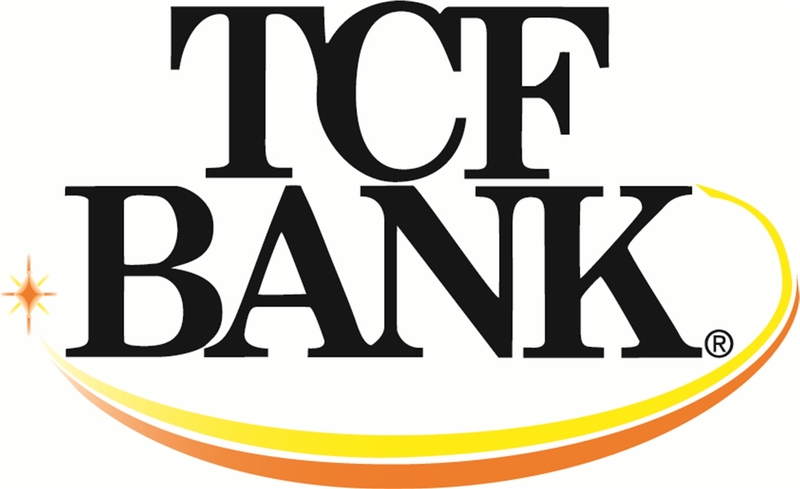 Founded in 1923, TCF Bank was initially known as the Twin City Building and Loan Association. It is the wholly-owned subsidiary of TCF Financial Corp. which is headquartered in Wayzata, Minnesota. TCF Bank has approximately 430 branches that are located in Minnesota, Illinois, Michigan, Colorado, Wisconsin, Indiana, Arizona and South Dakota. TCF Bank offers the VISA Business Bonus Rewards, VISA Business Bonus Rewards Plus and VISA Business Card credit cards in partnership with Elan Financial Services. Cardholders can take advantage of low interest rates, variable APRs, and more. The VISA Business Bonus Rewards credit card has an introductory APR of 0% for the first 6 months for purchase and balance transfers. After that the APR is between 9.99% to 20.99%, depending on your creditworthiness. The APR for cash advances is 23.99%. The due date for payments is 24 to 30 days after the close of the previous billing cycle, giving you ample time to clear your dues. The minimum interest charge is $2. Returned payment fee is up to $35. Late payment fee is $19 (balances up to $100), $29 (balances from $100 up to $250), $39 (balances of $250 or more). No annual membership fee is applicable unlike some other credit cards. The VISA Business Bonus Rewards Plus credit card has an introductory APR of 0% for the first six months for purchase and balance transfers. After that the APR is between 9.99% to 20.99%, depending on your creditworthiness. The APR for cash advances is 23.99%. The due date for payments is 24 to 30 days after the close of the previous billing cycle, giving you ample time to clear your dues. The minimum interest charge is $2. Returned payment fee is up to $35. Late payment fee is $19 (balances up to $100), $29 (balances from $100 up to $250), $39 (balances of $250 or more). An annual membership fee of $50 is applicable. The VISA Business Card credit card has an introductory APR of 0% for the first 12 months for purchase and balance transfers. After that the APR is between 9.99% to 20.99%, depending on your creditworthiness. The APR for cash advances is 23.99%. If you are looking for a credit card with variable APRs and low interest rates, the TCF Bank credit cards should meet your requirements.